PANORAMA SUNROOF, ILLUMINATED STAR, SATIN BROWN POPLAR WOOD TRIM, NIGHT BLACK, BLACK, MB-TEX UPHOLSTERY, WHEELS: 18 TWIN 5-SPOKE ALLOY, PREMIUM PACKAGE, BLIND SPOT ASSIST *Note - For third party subscriptions or services, please contact the dealer for more information. * Drive home in your new pre-owned vehicle with the knowledge you're fully backed by the CARFAX Buyback Guarantee. This vehicle is Certified Pre-Owned. 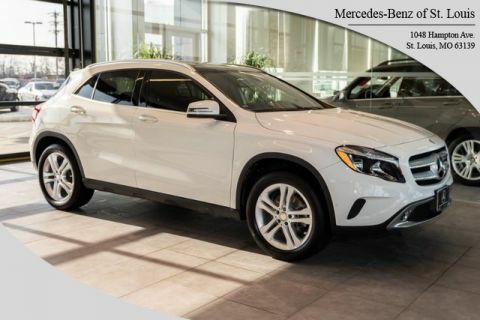 On almost any road condition, this Mercedes-Benz GLA-Class GLA 250 offers solid performance, reliability, and comfort. This Mercedes-Benz GLA-Class is equipped with AWD for improved handling. Whether you're faced with inclement weather or just out enjoying the twisting back road, you'll have the grip of AWD on your side. It's not often you find just the vehicle you are looking for AND with low mileage. This is your chance to take home a gently used and barely driven Mercedes-Benz GLA-Class. More information about the 2015 Mercedes-Benz GLA-Class: Mercedes-Benz enters the increasingly crowded luxury compact crossover segment with the GLA-Class. Its sedan underpinnings and small stature make it a nimble performer, with favorable comparison against completion from BMW and Audi. The high-performance GLA 45 AMG® takes things to a different level, however, and nothing from any manufacturer can rival it. Interesting features of this model are superb power in AMG® guise, available technology and safety features, athletic handling, and Overall execution feels upscale and exclusive On-Line Sales Price may not include Mercedes Benz Certified Pre-Owned Warranty *CALL TO VERIFY PRICING AND WARRANTY INFORMATION. 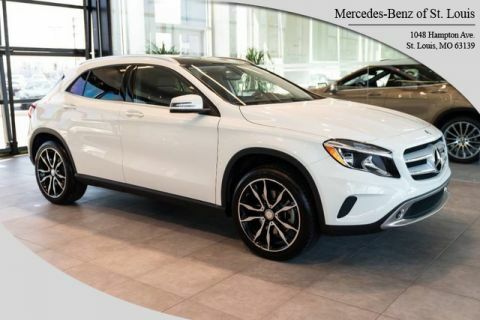 Contact Mercedes Benz of St Louis today for information on dozens of vehicles like this 2015 Mercedes-Benz GLA-Class GLA 250. This vehicle has surpassed all inspections to achieve Certified Pre-Owned status. 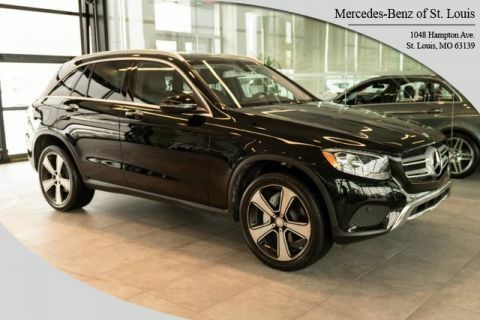 The Mercedes-Benz GLA-Class GLA 250 offers a fair amount of utility thanks to its advanced features and unique styling. It's also quite sporty, and injects an ample amount of handling chutzpah into the ridin'-high body of a family-friendly SUV. This vehicle has an added performance bonus: AWD. It improves handling on those winding back roads, and gives you added safety and control when driving through wet and snow weather conditions. 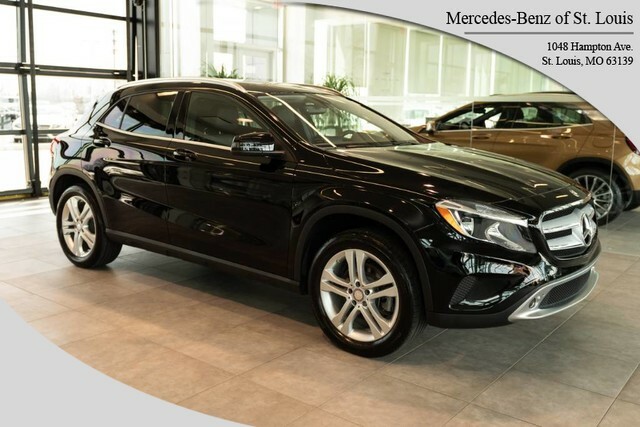 In addition to being well-cared for, this Mercedes-Benz GLA-Class has very low mileage making it a rare find. More information about the 2015 Mercedes-Benz GLA-Class: Mercedes-Benz enters the increasingly crowded luxury compact crossover segment with the GLA-Class. Its sedan underpinnings and small stature make it a nimble performer, with favorable comparison against completion from BMW and Audi. The high-performance GLA 45 AMG® takes things to a different level, however, and nothing from any manufacturer can rival it. 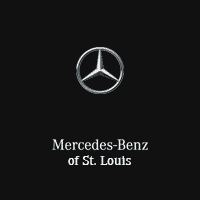 Strengths of this model include superb power in AMG® guise, available technology and safety features, athletic handling, and Overall execution feels upscale and exclusive On-Line Sales Price may not include Mercedes Benz Certified Pre-Owned Warranty *CALL TO VERIFY PRICING AND WARRANTY INFORMATION.